Hi, I know this topic has been done to death but could you please humor me. I was really hoping that some of the more experienced growers here could chime in on their thoughts about potency. Is it genetics, if so is it strain specific as in puerto ricans are stronger than Hawaiins- or individual like finding an extra potent weed plant in a packet of seeds? Is it growth rate, slower growing produces a larger content? Is a cube a cube, and this is nonsense? Any thoughts would be greatly appreciated! I am sure everyone has a theory, let us hear them! 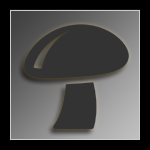 Panaeolus cyanescens are more potent. Higher concentrations of psilocin. They are more visual and a heavier feeling. In as far as strains of cubensis go , no. I have grown many different strains and see no real differences. Some may disagree but I’ve only noticed differences between batches because of either genetics or another variable but I generally get the same ride out of cubensis. But outside of differences between species , it’s all opinion on strain differences of cubensis. Within the same strain there is enough variance to make any strain-to-strain comparison worthless. If someone is experiencing consistent effects that they believe are characteristic of a particular strain, I would suggest that this could be due to psychological phenomena such as expectation and the power of suggestion. Edited by coorsmikey, 17 December 2018 - 06:44 PM. I’ve heard that B+ And Z were the best for potency. Everyone has their favorite cubensis. I have honestly had golden teachers that couch locked me on a lower dose than a higher dose of PE. But other times I’ve had the opposite. Sometimes I’ve had Mexicana that rocked me harder than any of them. There’s so much variance because every grow , in spite of using the same tek and amounts of ingredients , is always different. I see so much variance I gave up on testing the strains to see if there were really different “flavors”. Just my experience. I have my preferred strains because of appearance. This is all my opinion and experience with cubensis. I see PE as a marketing thing. Prints are more expensive because of a 5.7 liter 460Hp turbo charged engine that will rock your f**king socks off. But at the end of the day , none of it matters. You take a little more to get your lessons or you take a little less. It’s honestly a moot point. Which is better? Ford or Mercury? I wish someone else would chime in so I’m not alone here. It’s cold. It’s so damn cold. I could use a hug. Getting kind of lonely. Edited by HooKworm, 17 December 2018 - 08:49 PM. I got it all in one post this time , Mike. Figured I wouldn’t make you work for it this time lol. Edited by HooKworm, 17 December 2018 - 08:42 PM. Thanks for taking the time to help me out, I do hope others chime in also. I have had Subaueringinosa from the wild before, we were told they were Cyanescens back then. And they started very heavy (I think I fell asleep for awhile after taking them and smoking a bowl) upon waking they were extremely visual no body and a real 'feel good' smile on the face vibe. My whole room and furniture started slowly dancing, and coming to life and then the real fireworks started. IMO they tasted great as well, a slightly weaker watery bisporus taste. Texture was a little slimy but I could eat a lot of them compared to cubes. From memory it was two maybe three smallish/medium shrooms they have thin stipes and thin caps so not much weight to them. My experience with cubes is PESH for example is much more of a stoned type buzz for me with very very mild if any visuals(unless really high dose), but then there are other strains like Tasmanians which seemed extremely visual without much body. I figure there is something there, but as you said regarding cubes that maybe completely subjective? PS;Now I am getting back into growing, I will be going back to that forest this season and grabbing some prints! So its completly random even down to a cake to cake level? .. i havent had any fruits yet as im only on my first grow but i recieved 2 oz from the same person and the first oz was very potent and the second one was very mild. Is this not his fault? Also how much does maturity of the mushroom contribute to potency? No, it's not his fault. He is prob using MS, and with that the potency can vary not only from cake to cake, but from fruit to fruit on the same cake. Honestly though, someone selling should know how to clone and fruit a good isolate for a consistent product for his customers. Not that I condone selling, be because I myself wont do it. But if I did, I'd have a potent and consistent crop. So going with the theme of this thread Deleena, you are saying that a cube is not a cube, and potency wildy varies? But, like with weed almost, you can isolate certain characteristics. When isolation is involved then no, a cube is not a cube. But this isolation of good genetics such as potency can be done with ANY strain, so again a cube is a cube, unless you make it not so...simple right? Edited by DaveyJonez, 13 January 2019 - 10:50 PM. Oh boy, yes you can develop tolerances. If you eat 5 grams you need to wait at least a week to feel the full effects of your next dose without doubling it. It doesnt surprise me at all the 7g trip wasnt much different from the 5...you needed more time between trips. "CNS tolerance to psilocybin (as well as other tryptamine hallucinogens) begins within a few hours after dosing and lasts at least a couple weeks. The tolerance is also cumulative and will reach a point of total tolerance where NO AMMOUNT of drug will have an effect. I've read that if you dose constantly (come down and take more) you will reach 100% tolerance within three days. Another point I should make is that there is a cross-tolerance between many of the hallucinogens. When you take mushrooms, your tolerance also goes up for LSD, Mescaline, DMT, and probably most serotonergic drugs as well." Not spam at all it is 100% relevant in a discussion about potency. Excellent summaries from Deleena24 and HooKworm. I'd massage their comments a bit by saying that multispore is not a total crapshoot. Some people in the OMC seem to think the notion of "strains" is inherently wrong, with respect to multispore cultures, but that's not so. Leaving aside the possibility of genetic mosaicism in fruits (which might exist in cubensis, but hasn't been demonstrated, yet) the progeny of a single fruit are essentially inbred cousins. A dikaryon produces a generation of "sibling" basidia, whose haploid gametes in a spore print "mate" to produce the next generation of dikaryotic mycelium. Genetic shuffling occurs when nuclei combine to form new diploid basidia, but the available genetic material is confined to the two germlines in the "parent" mycelium. So it is certainly possible to have cube strains, in the same way that we have strains of rats (lab populations inbred for a specified number of generations). In some cases, progeny will breed true, generation after generation. Selecting for an easily visible trait (albinism, for instance) is not too hard, because the grower can quickly identify the trait and breed for it. However, it's just not practical to test for potency in all the "cousins" in a tub full of shrooms, so if such traits get fixed in a strain it will be partly by accident. Nonetheless, it is at least theoretically possible that high-potency multispore strains could emerge. Unfortunately, there is another monkey wrench in the machinery: gene expression. Our mushrooms are quite capable of switching genes on and off, in response to specific environmental conditions. An example mentioned in another thread is the ability of cubensis to switch off niche-specific genes, like those that enable the organism to degrade lignin. Our cubes are very old and versatile organisms, capable of responding to a variety of environmental challenges. Since we don't really know what our favorite alkaloids in shrooms are "for", it's pretty hard to know what conditions will influence expression of the genes that produce them (e.g. nutrients, presence/absence of predators, competitors, or helpful collaborators). So, we blunder along, producing weak and strong mushrooms without really knowing why. I've never grown what I'd call weak form multispore, I've had a few standouts from well cultivated/domesticated strains and I've noticed wild collected cubes seem on the strong side. I'd agree variable, but not wildly variable. Sure it's possible to get poor quality I just don't think it's common. 95 per cent of the time you should get good quality. Strains can be good tracking, but mean little else. I wish they all reflected geographic location, but that's just my thoughts. First off thanks for the input guys. This is exactly what I was after, and this is the conclusion I had drawn. That with the different strains like pretty much any other population of individuals we have averages, we have a few with less, a few with more, but generally a strain overall will have an average potency, height, shape ect. For example Peurto Ricans may display a higher potency and more aggressive colonization than Golden Teachers (on average). Which if true those later flushes would definitely feel a lot stronger or more potent, as the quicker acting psilocin kicked in all at once. 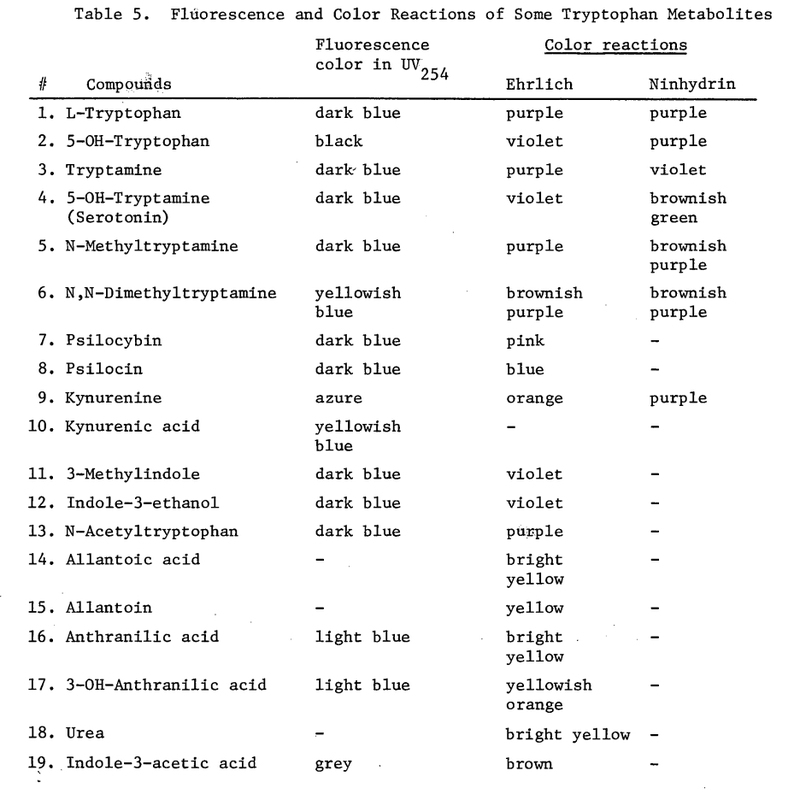 Also the results should be a goldmine for a nerd like me, because the Rf values are well known combined with the Ehrlichs I should be able to analyze the metabolic pathway of the more potent shrooms to some extent. Catfish pointed out a theoretical problem I was facing, regarding practicality. I decided I am going to go with sterilized ice cube trays with lids that I have written a number on each cube section, quarter filled with either LC or distilled water. Harvest a shroom take a tissue culture drop the culture in the ice cube tray, note which number it went into. Then place the rest of the shroom on a drying rack that has also been numbered obviously putting it into the same number as the tissue culture it came from(rinse and repeat ad nauseam). I grabbed a ton of plates(over 100) and I can get about 5 tests per plate, and can just grab more if needed. I had to get spend a little bit of $$ on equipment to make sure the results can be used to quantify also. I could really get into the nitty gritty, but I am sure I would end up boring everyone. If you would like me too though I would. After I iron out the details, it will be a pain sorting out the mobile phase and resolution(but this is what I do!). Once that is done I do not see why it could not be repeated by anyone that wanted too, easily with blotting paper or filter paper as the stationary phase instead of expensive glass plates. I inoculated some WBS jars with a PE clone last week so that wont be too far away, and we can at least get some substrate tests done while waiting on the spores. Which substrates/additives work in the potency department ect. Edited by Deleena24, 14 January 2019 - 02:35 PM.